Engaging men in gender initiatives can be a challenge. Science and research are revealing the best ways to bring them around. In recent years, reaching equality between men and women has slowly moved to the center of the national discourse. Yet I regularly hear women complain about engaging men in gender initiatives. How do you bring them onboard? How do you encourage them to champion these important initiatives? Perhaps before we delve into engaging men in gender initiatives, we should understand what it means to be a man in today’s world. In a recent study, Catalyst identified four masculine norms with which men grow up in the U.S. and Western Europe. According to the authors of the study, the way in which men negotiate these norms determines how supportive they will be of equality between men and women in the workplace. Reaching equality of men and women in the workplace is less of a challenge when men are actively involved in the efforts. 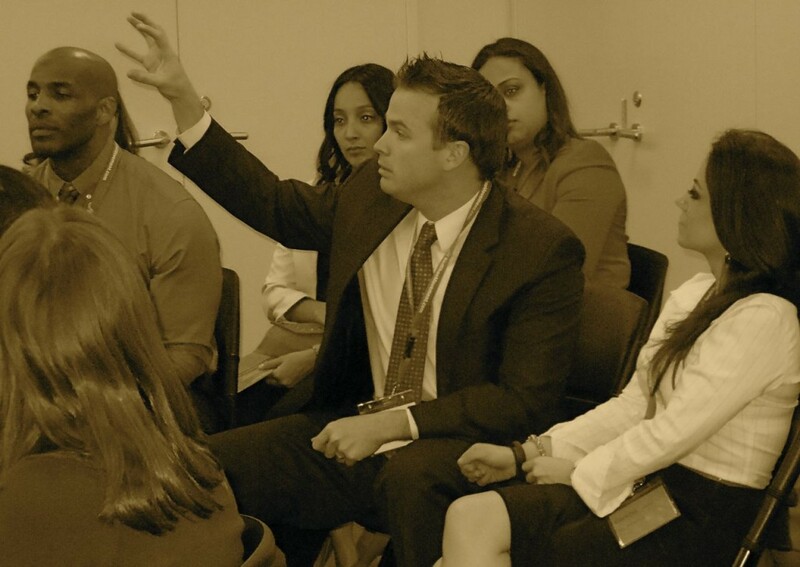 Featured here, participants at a RSM Onsite Event at Thomson Reuters. Be a winner: Focus is placed on anything that makes a man attain social status- wealth, prestige, power over others. Focus on their career is paramount. Show no chinks in the armor: Show no physical or emotional weakness. This norm pushes men to keep emotions to themselves. 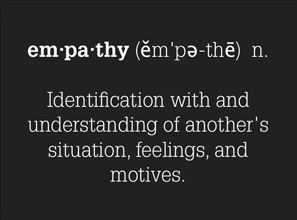 Showing emotional toughness is perceived as a key leadership attribute. Be a man’s man: It’s important to be one of the boys, visibly complying with all masculine norms and participating in stereotypically masculine activities, which results in access to valuable networks. Men exhibit different degrees of compliance with these masculine norms, and research shows that men who break away from them pay a social cost that includes isolation and loss of social status. As you can see, these norms with which men grow up and which inform their beliefs and behaviors deeply affect their relationships with their female colleagues. What is the key for engaging men in gender initiatives? The key for engaging men in gender initiatives rests with their level of awareness. It may seem obvious, but sometimes things are so obvious that we forget to take them into account. 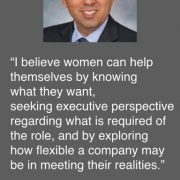 Invite male colleagues to be part of your women initiatives. Keep in mind the societal norms that affect them. 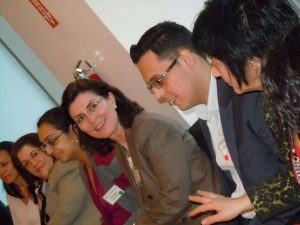 Featured here, participants at a RSM Signature Event at McGraw Hill Financial. How can you raise men’s level of awareness of the lack of equality between men and women? According to Catalyst’s study, there are three factors that help increase a man’s awareness of gender bias. Defiance of some masculine norms– Men who tend to defy the masculine norm “avoid all things feminine” tend to have more awareness of inequity. Having a woman mentor- When men have women mentors they tend to be more familiar with inequities women experience in the workplace. A sense of fair play – A sense of fair distribution of resources, of the gaps between the haves and the have nots, also makes men more sensitive to gender bias. Of these three factors, having a sense of fair play was by far the one responsible for inspiring more men to be champions of equality between men and women in the workplace. 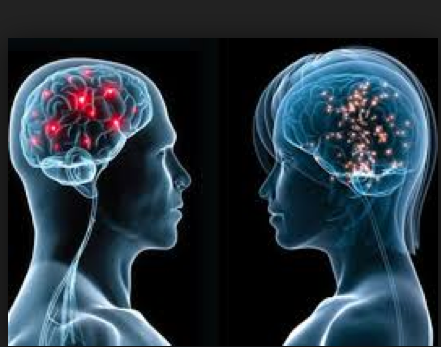 The moment you learn that male and female brains are wired differently a sense of liberation and relief comes upon you. The revelation presents us with the opportunity to look at a different way of engaging men in gender initiatives. Science tells us that men tend to be more left brained, which means they favor linear, logical, conceptual, hierarchical, compartmentalized thinking. Focused thinking detached from emotion in order to get things done. As if they have little boxes in their brain where they keep work, family, and children, all neatly separated. As a result men can become impatient when women offer them too much context when they ask questions or when they come up with a more creative, less linear answer to their question. On the other hand women tend to be more right brained, which means they see the big picture, are empathetic, intuitive, favor collaboration, emotional intelligence, patience and optimism. They naturally bring a host of qualities to leadership that have been quite absent from our male-dominant C-Suites. Brain studies have revealed that women have a larger corpus callosum, the area of the brain that connects both hemispheres, which facilitates electrical impulses to go back and forth faster between the right and left sides of the brain. 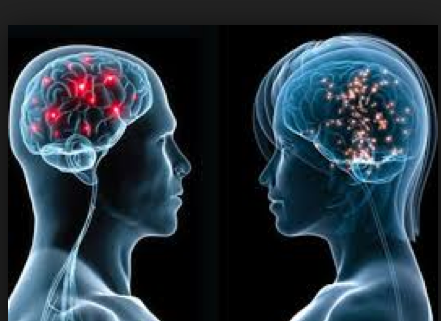 Not surprisingly, it’s been proven that women use both hemispheres of the brain to make a decision. 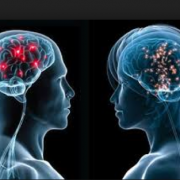 Studies have also shown that the amygdala, the area of the brain considered the “seat of aggression,” is three times larger in men than in women. The size difference is likely evolutionary as men historically were the protectors of the family. Again, not surprisingly, aggressiveness is a trait tightly correlated with men. “The brain’s ability for perceptual change is the foundation of a leader’s capacity to adapt,” said Dr. Peter Dean, author of Breaking Into the Boys Club, M.Evans, 2009, during his presentation at the Women Leadership Conference organized recently by The Conference Board. Translation: people (leaders) can change their perceptions and that’s what you should work towards. Here’s how it works. Men and women have different proportions of a series of chemicals that affect our behavior: estrogen, progesterone, serotonin, oxytocin, testosterone and vasopressin. Women have more of the first four chemicals, which are responsible for empathy and calmness. Men have more of the last two, which are responsible for aggression and territorialism. Knowing the masculine norms men respond to and the potential risks they run for straying away from them will help you craft empathic messages that get to the heart of the men you’re hoping to turn into champions of your programs. We are living in wonderful times when opportunities for change abound. We need each other to create the new leadership model for the 21st Century. Engaging men in gender initiatives is the only way to reach equality between men and women. 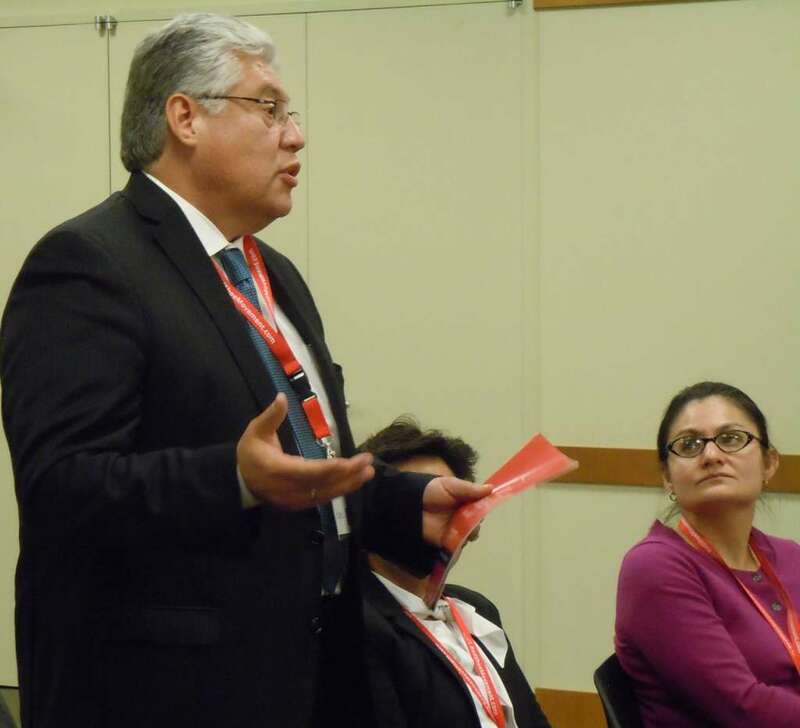 Engaging men in gender initiatives is easy when you bring the power of the Red Shoe Movement to your organization. Click to check out the RSM LEADERSHIP DEVELOPMENT PROGRAMS and Connect with the Movement! Why are women so mean to each other? Find out!! Do women empowerment workshops work?